Great for athletes, people with breathing problems, performing artists - everyone. Simple to use; just five minutes twice a day. For years, everyone thought that breathing didn't limit exercise performance. Lung volumes are essentially set, so how could breathing impact performance? But Alison McConnell, Professor of Applied Physiology at Brunel University's Centre for Sports Medicine and Human Performance, and a former competitive rower knew that sensations such as "lung burn" and the need to "stop and catch a breath" surely meant that breathing limited our ability to exercise. So she embarked on a journey of groundbreaking research and uncovered that yes, indeed, our breathing muscles suffer the same amount of fatigue and metabolic repercussions as any other exercising muscle. Only, when these muscles fatigue they steal blood and therefore energy away from our exercising muscles in order to continue to function. And that, most certainly, limits exercise performance. The good news is, she also developed a wonderful tool, called POWERbreathe that specifically targets and trains the respiratory muscles. 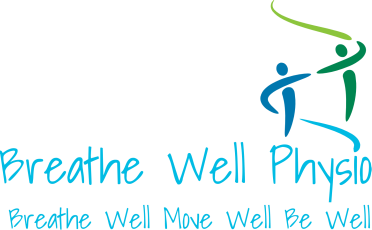 POWERbreathe is now available in Canada through Breathe Well Physio. We can ship to anywhere in Canada; payment by credit and bank payment. Contact us for more information and ordering. POWERbreathe Plus uses a variable load calibrated spring, calibrated to your chosen Resistance. It can be adjusted from the lowest load setting (17cmH2O) when you begin training and increased as your breathing muscles adapt and become stronger (maximum load setting 274cmH2O). ​POWERbreathe Plus Medic is a Respiratory Muscle Training device (RMT) scientifically proven to strengthen the respiratory muscles, reducing breathlessness, improving exercise tolerance and enhancing quality of life in a wide range of patients. POWERbreathe Plus Medic is the second generation of POWERbreathe Medic RMT devices. POWERbreathe Plus products are $75 CAD + tax and shipping. Please contact us for ordering.